Disney Donna Kay: How Giving Up Your Morning Latte Can Make You A Vacation Superhero! 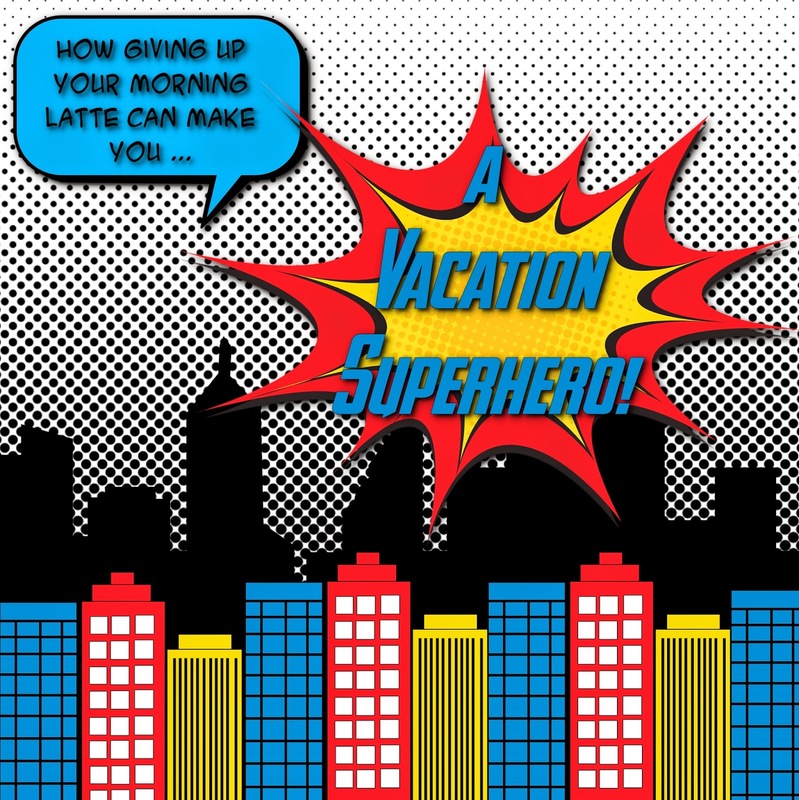 How Giving Up Your Morning Latte Can Make You A Vacation Superhero! That's how many coffee beverages that Starbucks sells on any given day. That number blows my mind! That's a lot of Lattes, Frappuccinos, Espressos, Caffe Mochas, you get the idea. Assuming the average person gets a Grande at $4.15 each. That's $16,600,000!! Now let's take one person - one Caffe Mocha Grande a day for each work day of the year. That's 248 drinks at $4.15 each, coming to a total of $1029.20 a year. Double that if both you and your spouse have to have your morning Starbucks. What does that have to do with becoming a vacation Superhero? Let's face it we all have k-cup coffee makers at home. You can find almost any flavor you want at the grocery store (even Starbucks) to make at home. It takes less time to brew at home than it does to drive thru your local Coffee House. Now imagine saving that money by having coffee at home and putting it toward a Disney vacation. If Mom & Dad are both Starbucks fans that's $2058.40 of your vacation paid for. Simply deposit the money into savings each payday or deposit it into a Disney Vacation Account (be watching for a post about this very soon)! Next contact an Authorized Disney Vacation Planner, like Guru Travel, and they will handle the rest. All you need to do is pack for your dream Disney vacation - Disneyland, Walt Disney World, Aulani - A Disney Resort & Spa in Hawaii, or cruise about one of the award winning ships of Disney Cruise Line. Any of these vacations are sure to elevate you to Super Hero status with your family! You don't drink coffee? How about saving the $5.00 or more you spend on fast food lunch each day! You can brown bag your lunch and maybe even lose a little weight in the process, not that's what I can a win/win! How about giving up a magazine subscription and reading it online? It's all about making small changes that can add up to big savings! Honestly, which would you rather have- a daily cup of fancy coffee or vacation memories with your family that will last a lifetime? Seems like a no-brainer to me! Let's start planning today - donnakay@thewdwguru.com!